Reflections, by thinkers and activists on the Jewish tradition of non-violence and compassion. The Jewish tradition of justice, first expressed by the prophet Isaiah and nourished during two millennia of Exile, has placed Jews at the forefront of struggles for civil rights, labor rights, anti-militarism, and compassion for the most vulnerable: the poor, the hungry, and the oppressed. 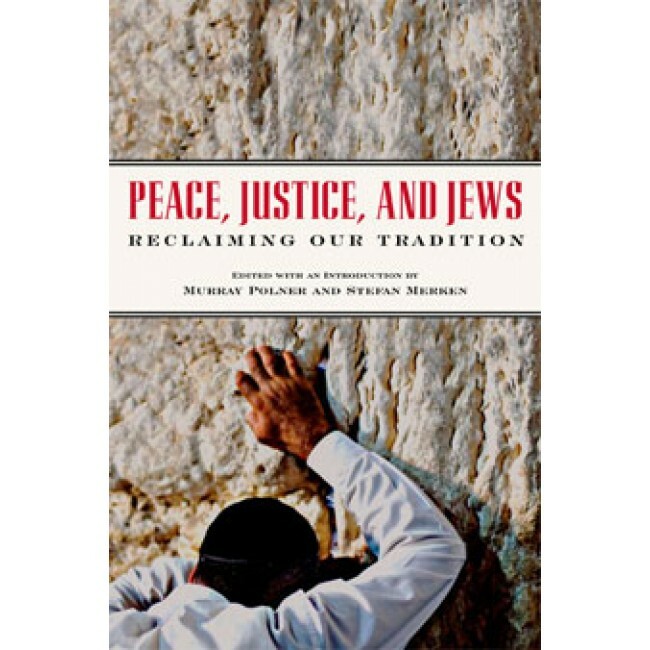 In this landmark collection of contemporary Jewish thought, editors Murray Polner and Stefan Merken have drawn on the work of a wide variety of thinkers and activists in Israel and the United States, including charity workers, political demonstrators, conscientious objectors, prison workers, animal rights advocates, mothers and fathers, refuseniks, rabbis, soldiers, journalists, and academics. Their diverse voices demonstrate a depth and range of thinking and commitments among Jews seeking justice today. Perhaps most urgently felt are the essays related to the Middle East, where Israel appears to rely increasingly on military superiority as a response to its complex political and territorial problems. These American and Israeli Jews deal with a profound moral crisis: whether to support Israel unconditionally as a bulwark against anti-Semitism, or to insist on a fair and peaceful solution with the Palestinians. They believe that only when human rights are respected for all, can Jews find true equality and security. Murray Polner, an editor and publisher, was founding editor of Present Tense magazine and served as editor of Fellowship, the organ of the Fellowship of Conciliation. He served in the U.S. Army. He is the author of: No Victory Parades: the Return of the Vietnam Veteran; Rabbi: the American Experience, and Branch Rickey: A Biography. He co-authored Disarmed and Dangerous: The Radical Lives & Times of Daniel & Philip Berrigan, and edited When Can I Come Home? A Debate on Amnesty for Exiles, Anti-War Prisoners, and Others. He has regularly contributed to newspapers and journals. Stefan Merken an activist, short-story writer, and novelist, was an American Fulbright Scholar in Japan, a conscientious objector during the Vietnam War, a draft counselor and West Coast representative of the Jewish Peace Fellowship from 1978 to 1995, he also served on the National Council of the Fellowship of Reconciliation for more than twenty years. He and Polner co-edited Wrestling with Your Conscience: A Guide for Jewish Draft Registrants and Conscientious Objectors and updated and expanded Allan Solomonow’s Roots of Jewish Nonviolence. With his wife, Betty, he has written two books: Wall Art and Three Plays for Quarter. He lives in Seattle, WA.